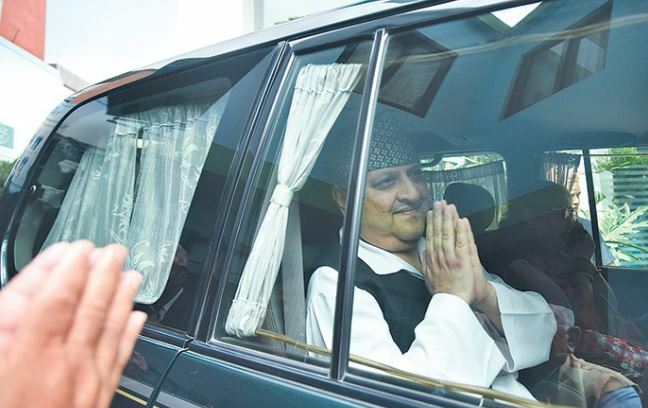 Kathmandu, 11 April : One person was killed and one is injured when Ex-King Gyanendra Shah security vehicle hit a bike while returning after dropping Shah the Biratnagar airport on Wednesday night. The car numbered Ba 3 Cha 7962 had hit bike numbered Ko 15 Pa 9979 while returning from the airport. Police have identified deceased as 22 year old Hem Chaudhary and pillion rider as Prakash Chaudhary who has been injured in the incident. Armed Police Force constable Dipendra Prasad Lamsal was riding the car.